My lips are NAAAA-STY this time of year. It seems to have started early this year too but TMI: when I wake up in the morning I literally have flakes of dried skin that I have to wipe off my chapped lips. 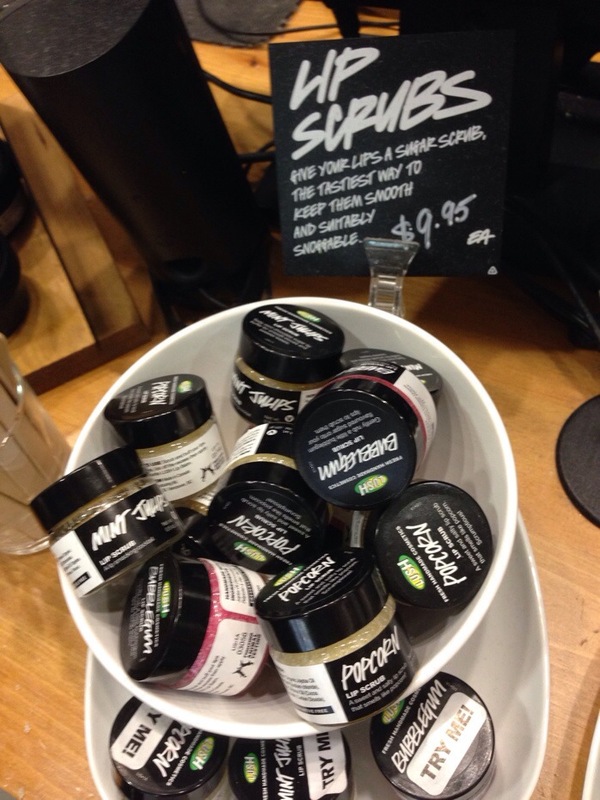 I was in my local LUSH store yesterday and they had some divine lip scrubs right at check out! 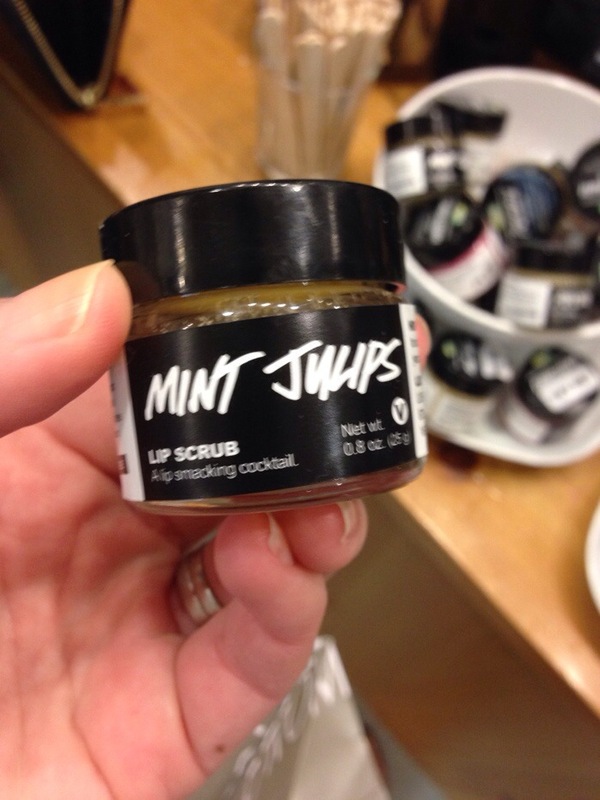 If you search on Lip Scrub on LUSH, it brings up a few products but stick with one of the ones that has “Scrub” in the title. The scrub is the part that’s going to get any dead skin off your lips and keep them nice and soft for lipstick application after you are done! I tried Mint Juleps ($9.95) today – it was so tasty! I’m hoping hubby reads this and gets me some to stick in my stocking this year! There’s also Popcorn and Bubblegum. I’d check out Popcorn but not sure about Bubblegum – that one may be a good stocking stuffer for a tween or teen girl in your life.